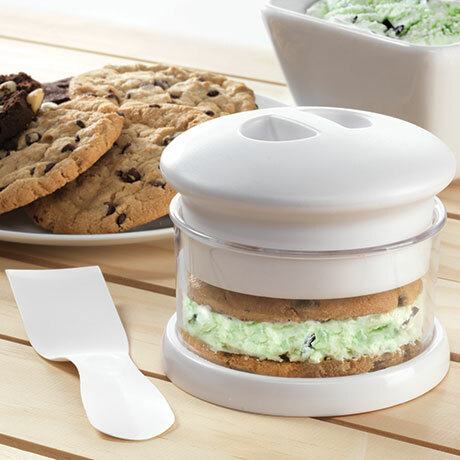 Create a yummy batch of ice cream sandwiches with this special sandwich maker. Simply put cookie in, add ice cream and cookie lid! Remove with scraper tool and repeat!